Professor George Eliava - was born on January 13,1892, in the village Sachkhere (Western Georgia). 1909 - graduated from the Medical faculty of the Novorosiisk University. 1912 - 14 graduated from The Jeneva University. 1916 - graduated from the Medical faculty of the Moscow University. 1916 - head of the Trabzon bacteriological laboratory. 1917 - head of the Tbilisi bacteriological laboratory. In 1918 - 21 and 1926 - 27 he worked at the Paris Pasteur Institute where he came across with Prof. Felix D'Herelle (the discoverer of bacteriophages). In 1923 Prof. George Eliava founded the Bacteriological institute on the base of a bacteriological laboratory. From the beginning it was known as the Institute of Microbiology and Eliava was its first director. G. Eliava got excited by D'Herelle's original ideas in the field of Experimental Medicine. Eventually, in 1926, a large area (17 hectares) on the right bank of the river Mtkvari was allotted to the Institute. It was the first institute in the former Soviet Union to deal with bacteriophage. According to the program, this was intended to be the World Centre of Bacteriophage Research, with both scientific and industrial parts, to be supplied by in-house experimental clinics. From 1927 - held the chair of Higiene of the TSU medical faculty. From 1929 - held the chair of Microbiology of the TSU medical faculty. In 1934 the Tbilisi Black Death Centre was founded under the leadership of G. Eliava. In 1937 Professor Eliava was arrested as a "People's Enemy" and soon executed. He shared the tragic fate of the majority of Georgian and Russian progressive intellectuals. In 1988 the Institute was rearranged and entered the Scientific Industrial Union "Bacteriophage" (SIU "Bacteriophage"), and its scientific part was honored to be named George Eliava's Research Institute of Bacteriophage. The institute started its history in 1923. It was organized on the base of a bacteriological laboratory and first was placed in a small maladjusted premises. From the beginning it was known as the Institute of Microbiology and its first director was Professor George Eliava - a well educated, intelligent and progressive thinking person. In 1926 Professor Eliava visited the Paris Pasteur Institute where he came across with Professor Felix D'Herelle - the discoverer of bacteriophages. Eliava got excited by D'Herelle's original ideas in the field of Experimental Medicine. Since that period Eliava became keen on bacteriophages and conceived a desire to found the Institute of Bacteriophage Research in Tbilisi. From the very beginning the government in the face of Lavrenti Beria - later right-hand person of Stalin - was against the organization of this kind of research institute. The reason was concealed in personal negative relationships between Beria and Eliava. The plan was realized due to the support of another famous figure, Sergo Orjonikidze - the People's Commissar of Heavy Industry. Eventually, in 1926, a large area (17 hectares) on the right bank of the river Mtkvari was allotted to the Institute. It was the first institute in the former Soviet Union to deal with bacteriophage. According to the program, this was intended to be the World Centre of Bacteriophage Research, with both scientific and industrial parts, to be supplied by in-house experimental clinics. For the moment, this territory is shared with the Institute of Molecular Biology & Biophysics and the Institute of Animal Physiology. D'Herelle also tried to support the idea. He sent equipment and literature from Paris for the future institute, some of which he purchased personally. In 1934 - 35, D'Herelle visited Tbilisi twice and stayed 6 months in all. He intended to move to the Republic of Georgia, and because of this "D'Herelle's Cottage" was built on the property of the future institute. However, D'Herelle never lived there. Perhaps due to his French roots, D'Herelle was fascinated by the idea of revolutionary changes, reorganization, and innovations of social mentality. He was very enthusiastic about the creation of the World Centre of Bacteriophage Research in Tbilisi. He sincerely and innocently trusted that: "Only in the Soviet Union is it possible to condemn erroneous methods of prophylaxis, sanctified by time, without fear of insulting the habitual delusions having prescriptive rights. A new social system has the right to afford itself revision of everything that has been obtained as a heritage of the past." This is from the preface of D'Herelle's book "The Bacteriophage and the Phenomenon of Recovery" written and published by D'Herelle in Tbilisi in 1935. It was translated into Russian by Professor Eliava. An interesting detail; the book was dedicated to Comrade Stalin - "the person who is guided by irresistible and merciless logic of history, who is building the human society on an absolutely new basis and who had carried through this task up to such height, up to such limits, that even a disinterested observer can no longer hesitate about the final result." "The final result" was that the book did not appear, and reading of a copy was allowed only by special permission. 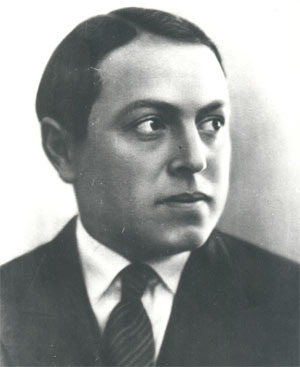 In 1937 Professor Eliava was arrested as a "People's Enemy" and soon executed. He shared the tragic fate of the majority of Georgian and Russian progressive intellectuals. D'Herelle never returned to Georgia again. He was bitterly deceived, his great plan destined to fall. Unfortunately, there is a gap in the documents of that time, as the KGB usually tried to wipe out everything that might be related to "People's Enemies" and their "Western Myrmidons." Thus, they thought to conceal all traces of their crimes. In 1938, the Institute of Bacteriophage Research and the Institute of Microbiology & Epidemiology (founded separately in 1936) merged, and the Institute of Microbiology, Epidemiology and Bacteriophage was formed. It existed until 1951 and was authorized by the People's Commissary of Health of Georgia. After 1951, it came under the auspices of the All-Union Ministry of Health and was renamed with a standard title - The Institute of Vaccine and Sera. Since its inception, the Institute consisted of industrial and scientific parts. The industrial part runs on a self supporting basis, while the scientific part always was, and still nominally remains, on the government budget (now presented just with a token amount of money). Based on D'Herelle and Eliava's traditions, the Bacteriophage Institute retains its leadership among the other institutes of similar profile for all the time of its long history. In spite of the development of events, the Institute did not change its practical specialization, and continued its activity in the field of bacteriophage research. The main merit in this respect belongs to Academician Teimuraz Chanishvili - leader of the scientific part of the Institute for longer than 30 years. Bacteriophage therapy, pioneered in Stalin-era Russia, is attracting renewed attention in the West as a potential weapon against drug-resistant bugs and hard-to-treat infections. TBILISI - Last December, three woodsmen in the mountains of Georgia stumbled upon a pair of canisters that were, oddly, hot to the touch. The men lugged the objects back to their campsite to warm themselves on a bitterly cold night. That turned out to be a terrible mistake: The canisters, Soviet relics once used to power remote generators, were intensely radioactive and burned two of the men severely. The victims were rushed to the capital, Tbilisi, where doctors plied them with antibiotics but failed to prevent staphylococcus bacteria from invading the deep wounds. Septic shock seemed just around the corner. Then a kinder legacy of the Soviet Union came to the rescue. Georgian doctors turned to a therapy virtually unknown in the West: They unleashed the bacteria's natural predators. The doctors covered the open wounds with novel biodegradable patches impregnated with bacteriophages, viruses that infect bacteria. The business card-sized PhageBioDerm patches, recently licensed for sale in Georgia, eliminated the infection, and within a few weeks the woodsmen were stable enough to go abroad for treatment to replace the lost skin. The episode shows that a unique brand of medicine from the Stalin era is alive and well in this remote corner of the world. More surprisingly, phage therapy might be about to stage a comeback in the West. After a brief fling with phages before World War II, when the use of penicillin became widespread, Western physicians ignored the therapy for more than half a century. "Phages were relegated to the dustbin of history," says Richard Carlton, president of Exponential Biotherapies Inc. (EBI), a firm based in Port Washington, New York, that is one of more than two dozen racing to reclaim phages from that dustbin. Driving phage therapy's potential rehabilitation is the accelerating crisis of antibiotic resistance. Some cases are particularly chilling: Last July, for example, U.S. health authorities reported the first instance in which a stalker of hospital wards, methicillin-resistant Staphylococcus aureus, had also acquired full resistance to vancomycin, often used as a last-ditch treatment. "The window of opportunity for new antibiotics is rapidly closing," asserts Janakiraman ("Ram") Ramachandran, a former president of AstraZeneca India who 2 years ago launched GangaGen Inc., a phage-therapy start-up in Bangalore. Although phages offer hope against drug-resistant bacteria and could soon find a role as a treatment for burns, diabetic ulcers, and other open wounds, experts concur that these viral breeds are unlikely to knock antibiotics off their pedestal for most infections. "Phages are certainly not going to replace chemicals," says Alexander Sulakvelidze of Intralytix, a company in Baltimore, Maryland, that's exploring a potential market for PhageBioDerm or similar products in the United States. Nor is it evident how the U.S. Food and Drug Administration will regulate phage products, or if it will be permissible to alter phage strains after FDA approval to counter bacterial resistance. For these reasons, many experts expect that phage concoctions for livestock and food-borne pathogens will find their way to market first. Despite the uncertainties, proponents say that as a medicine, bacteriophages have a lot going for them. "They are the most abundant life forms on Earth," notes phage biologist Elizabeth Kutter of Evergreen State College in Olympia, Washington. A drop of seawater or sewage teems with millions of phages; any exposed surface of our bodies, not to mention our digestive tracts, is carpeted with them. "Mother nature gives you an endless source of phages," says Sulakvelidze. And unlike most antibiotics, they are very specific, Kutter says: "Phages can kill off a small fraction of the microbial population and leave the rest intact." Phages are like minuscule smart bombs that home in on particular bacterial strains. Anecdotal evidence from decades of Soviet practice suggests that this results in far fewer side effects than use of antibiotics. And whereas drugs lose effectiveness as they are metabolized, phages replicate in their hosts, gaining strength in numbers and thus increasing potency. EBI, the fastest company off the blocks, has completed safety testing in healthy volunteers of a phage against vancomycin-resistant enterococci and plans to launch a clinical trial in patients with VRE in the middle of next year. "We really are living in a brave new world," says Toney Ilenchuk, vice president of Biophage Pharma in Montreal, Canada. He and others are watching EBI closely, because its experiences could determine how quickly the first phage therapies against human diseases reach the market--or whether the approach slips back into obscurity in the Western world. Many are rooting for a comeback. "We need to do something, have some alternative to antibiotics," says Diane Schaak of the Rowland Institute for Science at Harvard University. "Phage therapy could be a wonderful way to go." The first whiff of the microscopic predators came in 1896, when British chemist E. H. Hankin reported that water straight from the sewage-ridden Ganges and Jumma rivers could kill the cholera pathogen. It wasn't until 2 decades later that a pair of scientists, working independently, concluded that the bacteria slayers must be microbes themselves. In 1915, British bacteriologist Frederick W. Twort described an "ultramicroscopic virus" that somehow killed bacteria in solution. But it was noted biologist Fйlix d'Herelle of the Pasteur Institute in Paris who made the critters famous: He and his wife coined the term bacteriophage in 1916 after d'Herelle isolated an "anti-Shiga" microbe from the feces of patients with dysentery and grew it in the bacterium that causes the disease. D'Herelle was also the first to comprehend the promise that phages held as a disease treatment. In 1919, he and his colleagues made a phage preparation for a 12-year-old boy with severe dysentery. After guzzling 100 times the intended dose to check its safety - "the first clinical safety trial," jokes Sulakvelidze--they gave the diluted preparation to the boy, who recovered fully within a few days. Over the next several years, d'Herelle helped set up phage-therapy trials across the globe. "He would go to villages and observe who was recovering on their own from an illness, isolate phages from these people, and grow them in the lab," says Ramachandran. Phage therapy was off to a flying start, and it gained in popularity after the 1925 publication of Arrowsmith, a novel by Sinclair Lewis in which a doctor deploys phages against an outbreak of bubonic plague in the West Indies. Back then, "phages seemed like a miracle answer to many devastating infectious diseases," says Kutter. The drug giant Eli Lilly and a plethora of entrepreneurs piled into the phage business, but their record was spotty. In some patients the concoctions worked well, whereas in many others they had no effect. The mixed results were grist for a damning critique of phage therapy from the American Medical Association in 1934. Phage enthusiasts are quick to disassociate modern approaches from the field's early days. Little was known then about phages or bacteria, so patients often took phages that were not suited to their infections. In addition, says EBI's Carlton, "they didn't purify these products well enough." Preparations were often loaded with endotoxins produced by bacteria in the suspensions used to cultivate phages, and they were rarely tested before use to see if the phages were viable. But whereas Western physicians abandoned the fickle medicine, Soviet scientists kept the faith. Sunlight streams through a picture window into an office suffused with the yeasty smell of agar as Amiran Meipariani removes a logbook from a desk drawer. The silver-haired and -moustached bacteriologist scrolls down a record in cramped Cyrillic handwriting of the last batches of medicinal bacteriophages shipped abroad by the Eliava Institute here in Tbilisi. On the wall behind him is a 1930s photograph of the man who started it all in Georgia, a dashing young scientist with oiled black hair and deep-set eyes. Under Giorgi Eliava's intense gaze, Meipariani, who has worked here for 45 years, puts a finger on the most recent entries in his log: 88,600 phage tablets for intestinal illnesses and 497,000 tablets for prophylaxis against Salmonella, both shipped to Central Asia in 1989. That was the beginning of the end of the Eliava Institute's golden era. The Soviet enterprise got under way in 1923, when Eliava, who had spent 5 years with d'Herelle in Paris, founded a bacteriological research center with the blessing of Soviet dictator Josef Stalin. 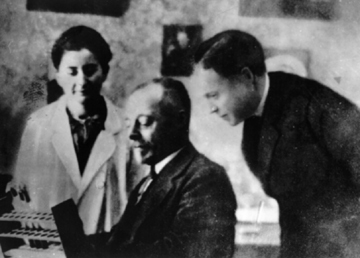 Eliava's phage program got a big boost in 1933, when d'Herelle left Yale University to join his protйgй in Tbilisi. He stayed until tragedy struck a few years later: Eliava fell into disfavor with the dreaded Lavrenty Beria, later head of the KGB, and was executed. The devastated institute eventually recovered and continued its pioneering work, including the development in the 1940s of phages against anaerobic infections such as gangrene. Soviet authorities placed a high value on the Eliava Institute's work. When it came to ordering new equipment and supplies of enzymes, says microbiologist Mzia Kutateladze, who joined the institute in the late 1980s, "we got whatever we wanted." The Soviet military was perhaps the biggest consumer of phage preparations, many of which were produced in Russia - and still are--according to Georgian techniques. "Antibiotics were expensive, while phage preparations were very cheap," explains Meipariani. The military's enthusiasm did not ebb after the Soviet meltdown. During the civil war in the early 1990s, Georgian soldiers fighting in the breakaway Abkhazia region carried spray cans filled with phages against five bugs: Staphylococcus aureus, Escherichia coli, Pseudomonas aeruginosa, Streptococcus pyogenes, and Proteus vulgaris. Phage preparations were also widely available in many Russian cities alongside antibiotics. And in a handful of towns such as Tolyatti, an auto-manufacturing center, clinics "rarely used antibiotics," instead relying almost exclusively on phages, says Zemphira Alavidze, a microbiologist at the Eliava. By the time the Soviet Union dissolved in 1991, the Eliava had only the means to produce phages for a still-thriving domestic market in newly independent Georgia. This minimal production, says Meipariani, has helped "preserve the tradition." Cooking up phages means more than following a recipe, he says: "You need a good mind and good hands." Visitors concur. "There is really no substitute for their collective experience over the past 70 years," says Tony Smithyman, managing director of SPS, a phage-therapy company in Sydney, Australia. He's one of many Westerners who have made a pilgrimage to Tbilisi to learn the art of phage therapy. The Eliava Institute was not alone in pursuing such therapies, as phage centers sprang up elsewhere in Eastern Europe. Perhaps the most important data in the English literature on the therapy's effectiveness come from the Institute of Immunology and Experimental Therapy in Wroclaw, Poland. Researchers there compiled a detailed report on the successful treatment of more than 500 patients with bacterial infections in the mid-1980s, but the results appeared in the obscure Archivum Immunologiae et Therapiae Experimentalis and only recently were excavated for wider dissemination. The Wroclaw institute is itself experiencing a renaissance, busily culturing medicinal phages and forging ties with Western labs. Whereas antibiotics relegated phage therapy to a historical footnote in the West, bacteriophages themselves, particularly the lunar lander-shaped T4 that infects E. coli, became the darlings of biologists. Beginning with Max Delbrьck's famous "phage group" in the early 1940s, molecular biologists exploited the simplicity and ease of handling of a few lab phages to do the following: confirm that DNA is the genetic material, show that messenger RNA is involved in its translation, reveal that the unit of recombination is the nucleotide, and clarify how genes are turned on and off. But the mainstream view on phage therapy was summarized in a passage from Gunther Stent's classic 1963 textbook Molecular Biology of Bacterial Viruses: "Just why bacteriophages, so virulent in their antibacterial action in vitro, proved to be so impotent in vivo has never been adequately explained." Stent suggested that the therapy failed because antibodies mop up phages infused into the body. In the early 1970s, a young researcher at the U.S. National Institutes of Health (NIH), Carl Merril, tested that notion on a germ-free colony of mice using a common lab phage, lambda. His group discovered that before the mice could even develop antibodies, the phages were cleared from the bloodstream, primarily by the spleen. Several years later, Merril and NIH colleague Sankar Adhya wondered whether some particularly hardy strains might evade clearance. If so, these could be harvested and studied and perhaps serve as the basis for an improved therapy. To find out, the researchers proposed injecting mice with billions of lambda phages and seeing if any persisted hours later. Teaming up with EBI's Carlton, they found that phage mutants that were around many hours longer than run-of-the-mill phages were much more effective at rescuing mice from otherwise lethal infections. Their 1996 report, in the Proceedings of the National Academy of Sciences (Vol. 93, p. 3188), was widely hailed as a basis for selecting promising phage strains. For the first time in more than half a century, Western experts were taking the disparaged approach seriously again. In a sign of the changing times, the Cold Spring Harbor Laboratory in New York, once a powerhouse in basic research on bacteriophages, will hold its first-ever Banbury meeting on phage therapy next month. However, there are still big gaps in our understanding of how phages work: Exquisite studies of phage genetics have revealed little about how these viruses behave in their natural environments or when introduced into the human body. "Decades of neglect of phage biology have left us woefully unprepared to take rapid steps in such uses as therapeutics," says Ry Young, a phage biologist at Texas A&M University in College Station. What is known is that phages come in two flavors. "Lytic" phages infect a bacterium, hijack its DNA, and replicate madly until the bacterium's cell wall gives out and it expires: the killing mechanism common for all phages. Lytic phages are ideal for therapy. But half of all phages, it is thought, are "temperate," meaning that they often integrate their DNA into that of their host. "You wouldn't know the phage is there," says Adhya, because they hibernate in the form of genetic code before the viral DNA tears itself free again and the virus begins replicating--sometimes taking some of the host DNA with it. At the same time, temperate phages can protect their host from attack by other phages. And they can abet pathogens: Certain temperate phages carry the genes for the toxins released by bacteria that cause diphtheria and cholera, for example. One serious concern is that a temperate phage could make off with host genes connected with virulence or resistance. These phages could, in principle, wreak havoc by integrating such genes into a new host. "I would worry about the transference of such genes," says Harvard's Schaak. After all, she asks, "Why would a phage wipe out its host?" Schaak speculates that some phages that are lytic in the test tube could acquire the genes to turn temperate in the body. Although most experts discount that possibility, Sulakvelidze in informal conversations with FDA officials understood that firms must guarantee that their phages are stably lytic. "We're doing much more rigorous characterizations of phages than has been done in the past," he says, including DNA sequencing. Another hurdle that could make or break phage therapy is that bacteria inevitably develop resistance to phage strains just as they do to antibiotics. The problem might not be as severe for would-be phage therapists: A study from the early 1980s found that mutations conferring resistance in E. coli occurred less frequently following phage therapy than they did following antibiotic therapy. And proponents say it's much easier to tackle resistance with phages than with drugs. "You can generate a new phage variant in a week" by selecting those that don't lose virulence in culture, says Ramachandran, who envisions a regulatory process in which panels of phages are put through clinical trials for FDA approval. Adhya's team, meanwhile, is developing a "master" phage that could undergo rigorous FDA review. Such a master phage could be subtly tinkered with, for example by altering a single gene that affects host susceptibility. Modified strains presumably would take less time and money to approve, Adhya says. Some scientists hope to bypass these issues altogether by extracting the active components from phages. For example, Vincent Fischetti and his team at Rockefeller University in New York City describe in the 22 August issue of Nature how they used a phage's lytic enzyme to kill the anthrax bacterium in the test tube. In a similar vein, Young's lab at Texas A&M reported last year in Science (22 June 2001, p. 2326) that one type of phage makes peptides that act like penicillin, blocking cell-wall synthesis in bacteria and causing the cell to explode when it tries to divide. Some companies are trying to exploit such eccentricities of phages in their quest for new drugs. For instance, PhageTech in St. Laurent, Canada, is studying a myriad of phage "killer" proteins that derail the host metabolism to make it easier for the phages to reproduce. It is now screening libraries of small molecules for killer protein analogs that could act as antibiotics. And Schaak is taking a novel tack. Earlier this year, she and a few colleagues launched MicroStealth Technologies, which aims to use phages as delivery vehicles for antimicrobial peptides that are only active inside bacterial cells. Although the experiences in Georgia and elsewhere in Eastern Europe have helped establish sound methods for selecting and cultivating phages, it's unclear how much of that data will be useful to companies intending to bring phage therapy to the West. "I'm not knocking the work in the East," asserts EBI's Carlton, "but the FDA pretty much has to discount it." That's not a universal view. Kutter, for one, argues that Eastern European findings on the use of phages to treat conditions such as diabetic ulcers and osteomyelitis, in which poor circulation can render antibiotics toothless, "are particularly impressive and incontrovertible. They have excellent cure rates." But it seems that message isn't reaching the right ears. "We just get a blank stare when we talk to regulators," says Ilenchuk, who says his firm, Biophage Pharma, will target "compartments" such as the mouth or intestines rather than dive into injectibles. FDA has not yet issued written guidance on how it intends to regulate phage therapy. But many unknowns will be cleared up as EBI takes its VRE phage through trials. "They are blazing the trail for us," says Asher Wilf, who last year founded Phage Biotech Ltd. in Rehovot, Israel. Navigating through the regulatory waters will be "a big challenge," says Ilenchuk. "It would take just one of us to screw it up," he says, recalling the troubles encountered in the early days of bringing blood substitutes to the market. FDA's emerging stance could also determine if and when large pharmaceutical companies get into the game. "Big pharma is waiting to see proof of concept before they do deals," says PhageTech co-founder Michael DuBow, now at the Universitй Paris-Sud XI in Orsay, France. In addition to regulatory and scientific uncertainties, phage enthusiasts might face one more hurdle: public acceptance. The time is ripe to start educating the public about phages, says Ilenchuk. "We have to get the message across that phages are everywhere." He and others assiduously avoid the "v" word. Rather than refer to them as viruses, says Schaak, "I call phages a natural delivery system." Others prefer a straight-shooting approach. "Phages are viruses, and if they are to be used as therapeutic agents, we need to respect their origin and use our modern scientific methods to assure that they are safe," says NIH's Merril. No matter how it's sold, most experts believe that in light of the increasing perils of antibiotic resistance, the once-scorned Soviet therapy will ultimately find a niche in modern Western medicine. A half-century of antibiotics usage has taught us that "you cannot win the war against bacteria," says Sulakvelidze. But with phages, he says, "at least you can try to shift the ecological balance in our favor."